• A total of 23 services, APL provides one of the most comprehensive networks and fastest transits between China and U.S.
• A strengthened offer with the addition of new FX8 service, and greater access to the Mediterranean market with Piraeus call in FX7. • Unparalleled connections between North Europe and U.S. East Coast and the Gulf of Mexico. • Revamped WA2 (previously PE2-Gulf) provides additional direct eastbound coverage from Middle East to Qingdao and alternative cut-off options on the westbound, while WAX now offers direct eastbound access from Middle East to Tianjin, Xingang and Qingdao. • Competitive transit time into Red Sea with industry fastest transit time from China to Djibouti, as well as within Red Sea from Jeddah to Aqaba and Sokhna. • Extensive coverage within Intra-Asia, including connections to the major ports in Greater China, North Asia, Southeast Asia and Oceania. 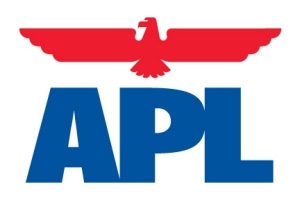 • Covering the North-South and East-West routes, APL’s Latin America services continue to offer competitive transits, including our industry-leading reefer services.